This article describes how the recent breakthrough in information technology has changed in day-to-day life. The smart phone rules the minds and hearts of a major chunk of the population. Internet has become a basic requirement of many a people. Although technology has affected all functional area of business, marketing is feeling the heat even more. The leap in the information technology replaced mass marketing with one-to-one marketing. Customer relationship, knowledge management, database marketing became the buzz words during 1990s. Search services, biometrics and smart cards, enhanced computational speed, M-commerce, and GPS tracking have changed the way marketing is done. However, technology is often misused by marketers to lure customers on wrong premises. Marketers may at times misuse technology for their vested interest. The article discusses the various cases where technology has been misused by the marketers. 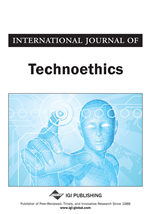 The article explores the technological innovations in marketing and the potential misuse of technology with special focus on cases from India. Since the inception of the earth it has been the fittest who had survived. Survival knows no right and wrong. Survival knows no boundaries or limits. Man can surpass any limit in his struggle for survival. But, mere survival is not the aim of the human race. Darwin propounded the theory of survival of the fittest considering man to be just another species of animal kingdom. It is not just survival which a human thrives for, exploration of the unknown is what attracts humans, and it is this quest which pushes him on the path of evolution. Man evolves into human, with myriad values, beliefs, perceptions and attitudes. With evolution comes complications, and there arises a need for a code of conduct, in the absence of which there would be utter confusion. Thus, the concept of ethics originates. Ethics or in other words the do's and don’ts' of society, guides an individual in his pursuit of self-actualization. The word ‘ethics’ has its origin in a Greek word ‘ethos’ which means customs followed in a society. Ethics is the course of action that a person should take rather than what he actually does. In the words of Rabindra Nath Tagore, “one of the commonest concerns about ethics revolves around the theme of honesty – not necessarily monetary, but intellectual as well. He says, “And upon this wealth of goodness where honesty is not valued for being the best policy, but it can afford to go against all policies – man's ethics are founded. The clear hint here is that policy can, and often is, time serving, manipulative, cunning, opaque and contaminated with partiality or prejudice. A principle on the other hand is a more universal, transparent and durable guideline” (Chakraborty, 2005). The advocates of profit maximization would argue that business organization is there for earning profits rather than bothering itself with complicated issues of ethics. Despite these moral appreciations, there is a strong tradition in business that insists that business should not be concerned with ethics. As Milton Friedman, a vociferous proponent of this position has put it: “The social responsibility of business is to its shareholders… The business of business is business…” (Friedman, 1970).The argument is myopic, short term measurable indices are preferred over long term immeasurable gains. Long term growth requires honesty, trust, integrity and credibility. Ethics is also defined as “a study of moral standards whose explicit purpose is to determine as far as possible whether a given moral standard (or moral judgment based on that standard) is more or less correct” (Velasquez, 2007). There is definition of ethics from stakeholder’s point of view as well. According to this definition the stakeholder is defined as anyone who has a claim or stake in a firm and a successful firm rewards all of its stakeholders. To achieve it, the firm would have to adopt policies which are an optimal balance of interest and ethics. Since the notion of right and wrong, or ethics in other words, come in the way of interest of some of its stakeholders, few managers misrepresent ethics as a cost or a hurdle, rather than a revenue generator (Fernando, 2011).